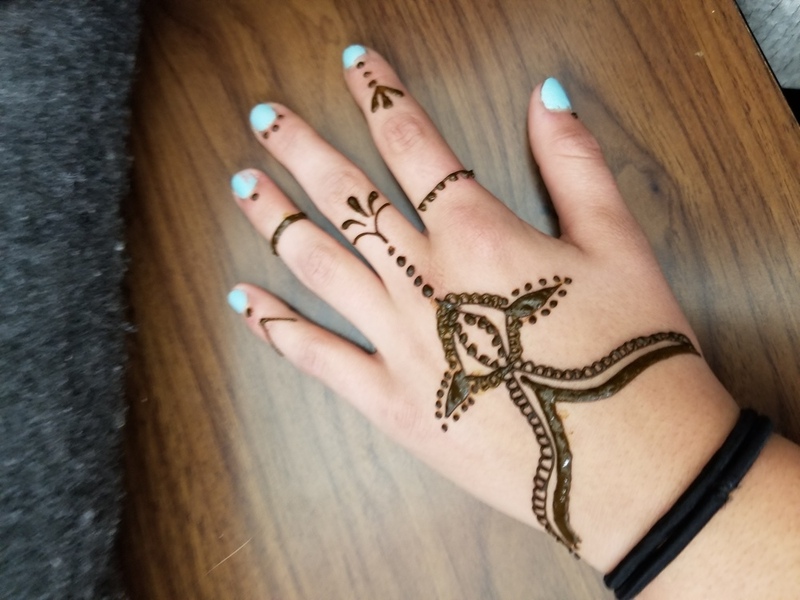 Superintendent Dave's former school (Abraxas High School, PowayUSD) has a Henna Club who came up and provided hand art for all the Warner students and staff. It was a great success. We hope to have Native Pride to return the favor and showcase our Bird Dancing and Fry Bread.